This post brought to you by Liberty Hardware. The content and opinions expressed below are that of Unexpected Elegance. 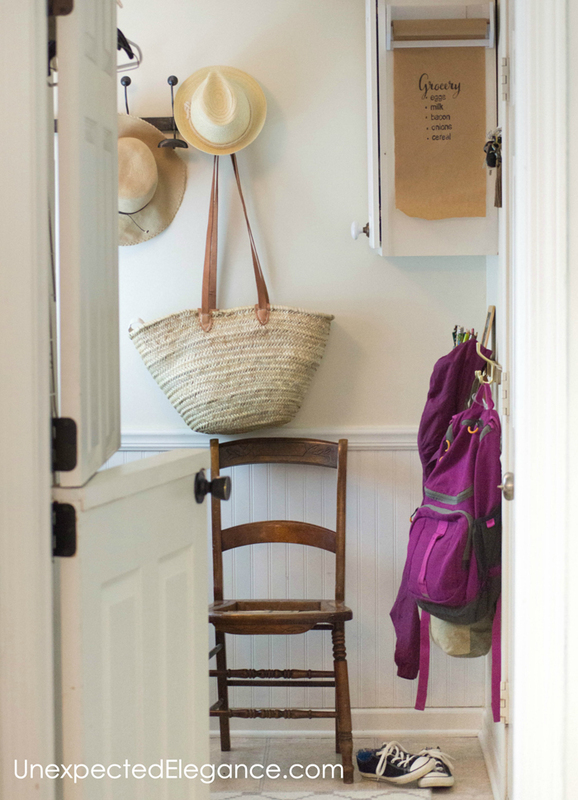 We don’t have an official mudroom in our house. 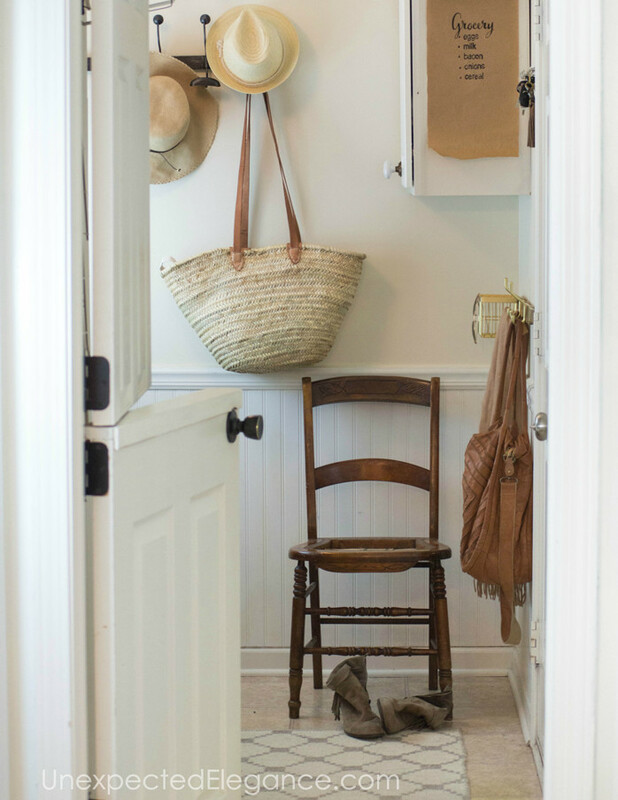 The closest resemblance is our laundry room, because it has a door that goes to the garage. It’s the only room with outside access that doesn’t have hardwood floors, making it the best room to track in wet and dirty shoes. However, there’s one very big problem with space, it’s super small and SO hard to keep to clean! Normally it looks like this (or worse): This room was a dumping ground. The kids always threw their junk on the floor and I tended to pile things in here too (if it’s already a mess, what’s one more thing, right?). I was finally sick and tired of this room looking like a disaster. Guests don’t see this space but it’s the first thing we see when we get home and the last thing when we leave. 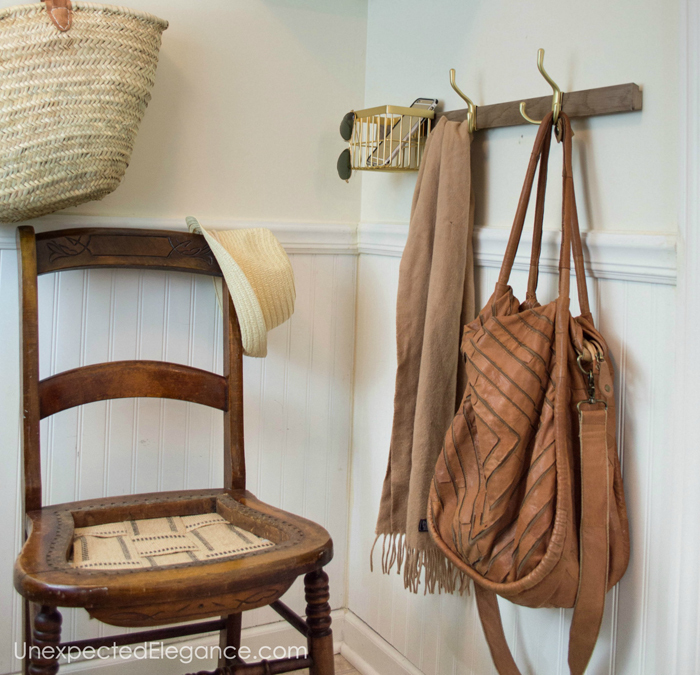 We just needed it to be more organized and to have a place to hang up our coats and bags, so I decided to give this space a mini-makeover. It’s a track system by Threshold Branded sold exclusively at Target​ (in store and online). Say Hello to Calleo! The amazing thing about this system is that it’s completely customizable storage, so it can be changed for different seasons or just for fun. It honestly was the perfect storage solution for my small space. You can choose a rail to fit the color scheme of your room. They come in 5 different colors (white, gray, vintage black, espresso and birch), 2 sizes (27″ and 21″), and mount on the wall easily with two screws. 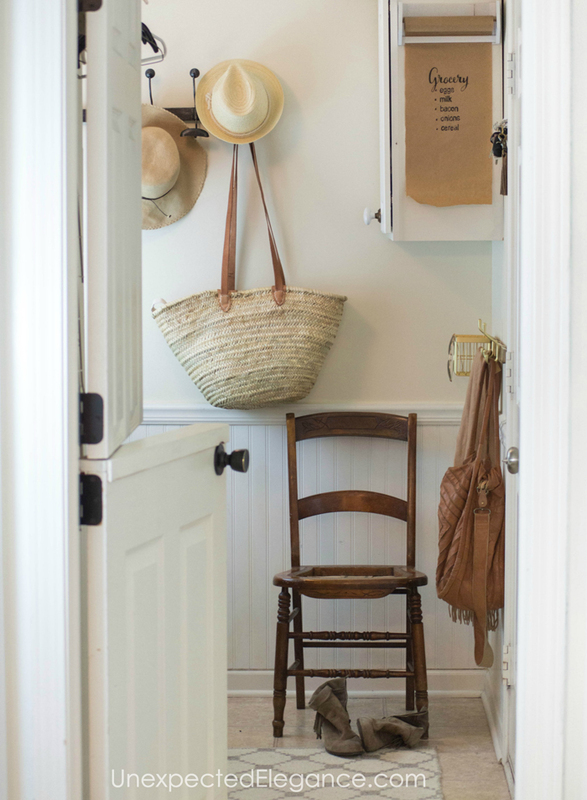 I chose the gray wood color, to give the space a more farmhouse feel with the white walls and beadboard that we already had in this room. 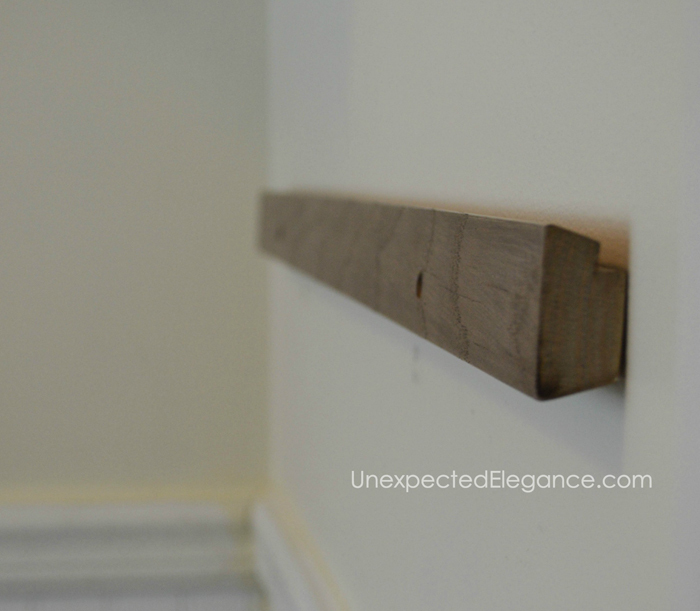 The feature I like best, is that the weight is evenly distributed down the length of the rail. 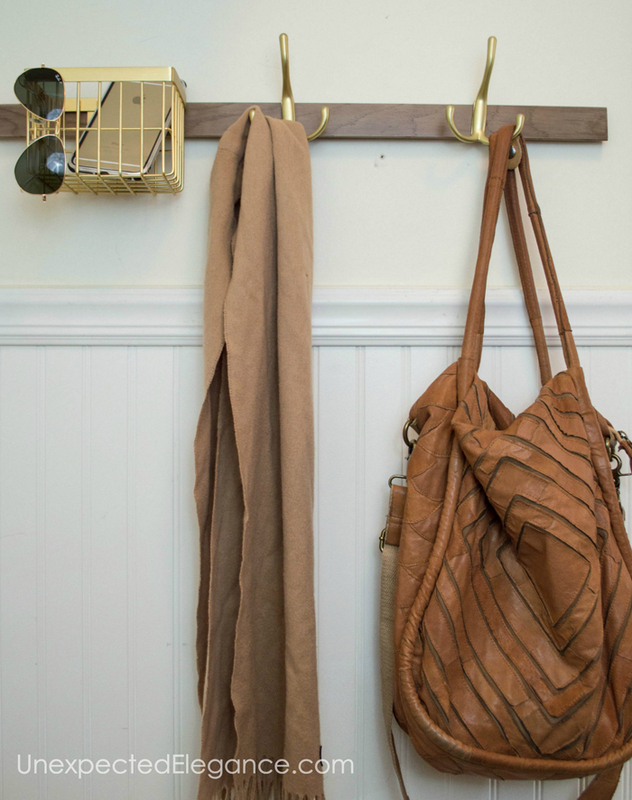 I’ve tried to add hooks to the wall before, but the kids always end up pulling them down. The studs are in weird places on this wall, so it makes it hard to get all the hooks mounted securely. My fingers are crossed that this system is will solve that problem long-term. 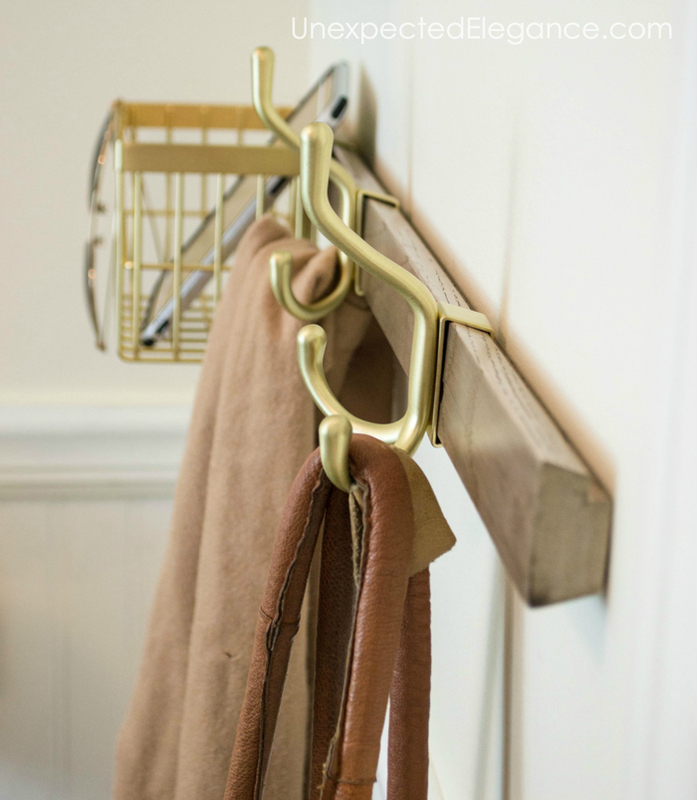 You can buy different styles of hooks and baskets, that slide onto the rail. 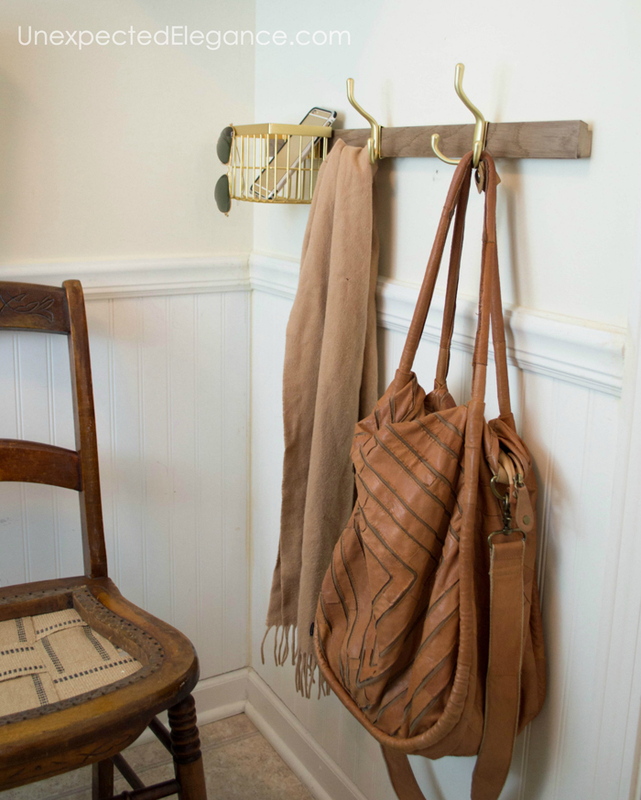 The decorative hooks can even be mounted to the wall. The accessories come in a few different colors, too. 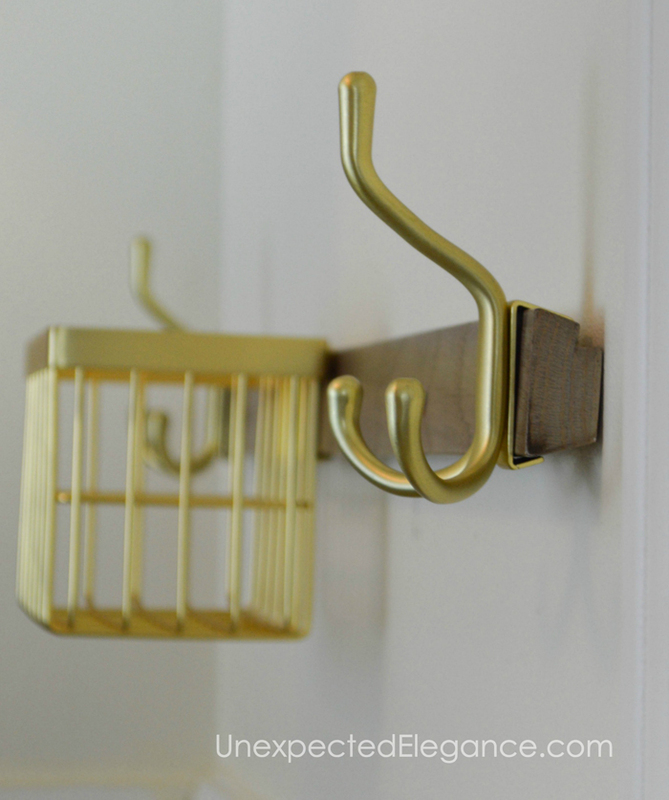 I choose the brushed brass, which is a soft gold color. I love how it looks mixed with the gray wood and while walls. 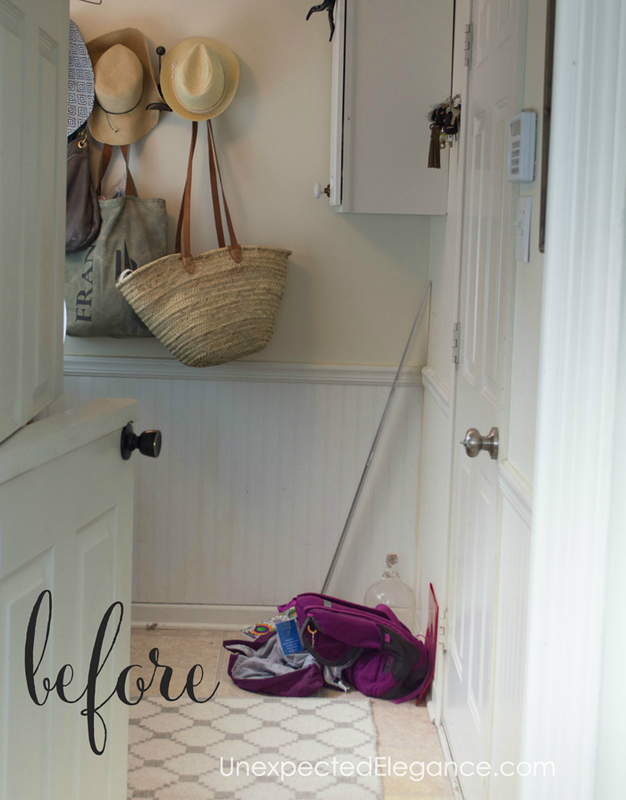 When this space needs to function differently, I can just add, remove or replace the accessories. During the school year, it will be the place for kid’s backpacks and after school activities bags. During the summer, it will house our pool bags, sunscreen and beach towels. The possibilities are endless! 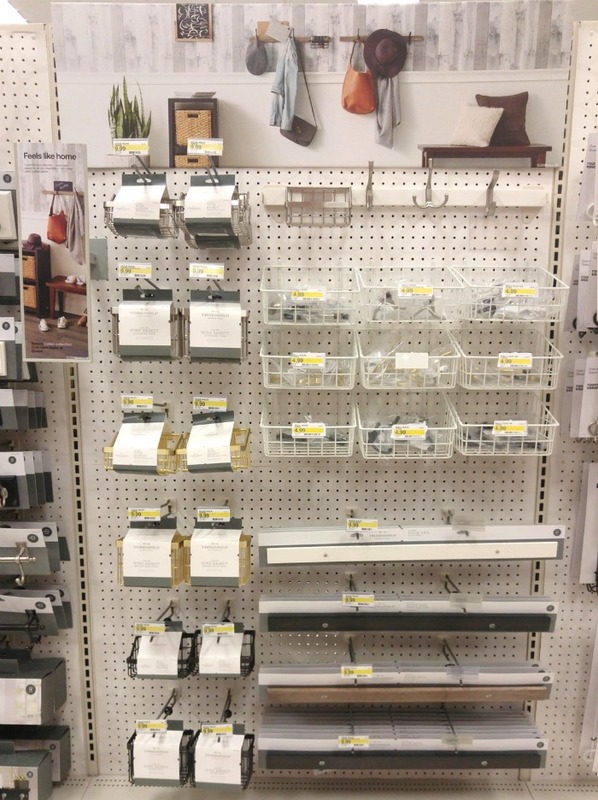 You can find this collection is sold in the home improvements section (near lightbulbs), at your local Target.